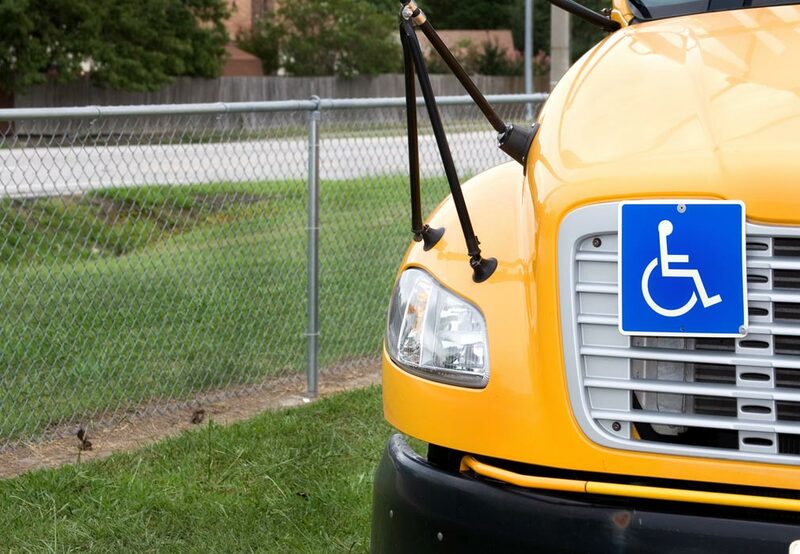 The safety of your students is your highest priority, and transporting students in wheelchairs requires even greater preparation, attention to detail, and observation of your fleet in order to ensure these students’ safety. School bus fleets manage close to 500,000 vehicles annually to ensure that students safely make their way to and from schools every day. In turn, transportation directors need to be ever vigilant in guaranteeing the safety of their student passengers during these morning and afternoon trips. of needed expertise, necessitating knowledge of securement best practices, specialized equipment, and training requirements. Transportation directors must truly become “champions” for students who require wheelchairs, ensuring their drivers, attendants, and aides are all properly trained and on the same page. Over the past few years, the industry has seen some changes in the way that wheelchair tie-down and occupant restraint systems (WTORS) are designed, tested, and installed. The two Rehabilitation Engineering Assistive Technology Society of North American (RESNA) wheelchair transportation safety standards — WC18 and WC19 — more recently implemented were designed to increase the level of safety when transporting individuals who are required to remain in a wheelchair while the bus is in motion. 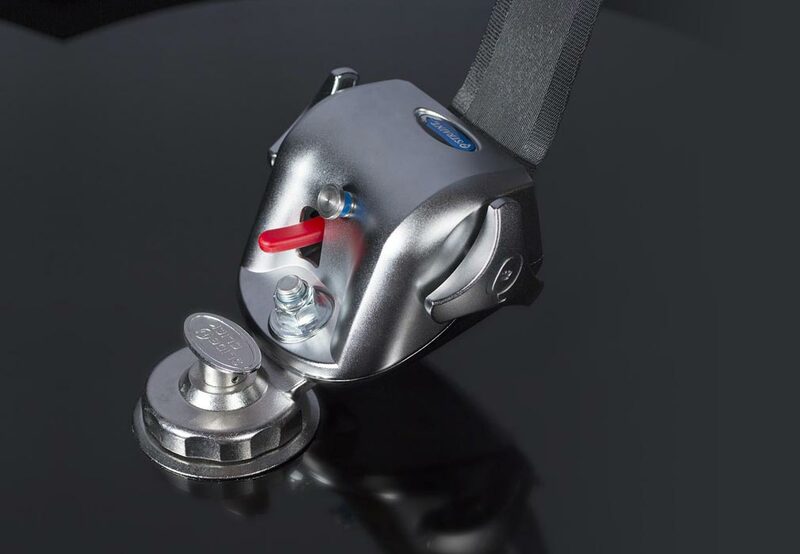 Implemented in December 2015, WC18 (which replaces SAE J2249 as the latest industry standard) promotes the design, testing, installation, and use of WTORS capable of providing effective frontal-crash protection for occupants in wheelchairs. Since WTORS manufacturers can not guarantee how end users apply their products and what vehicles they are installed in, WC18 requires a certain level crashworthiness for all types and sizes of vehicles. In every instance, WTORS must include a restraint system with both a pelvic belt and at least one shoulder belt, which is supported by testing that shows this is the most effective method of decreasing instances of injuries and fatalities in a number of different of crash scenarios. WTORS must be dynamically strength tested on an impact sled using a 30-mph/20-g crash pulse, a 187-pound (85 kg) surrogate wheelchair, and a 170-lb (76-kg) midsize adult male crash-test dummy. Systems must be able to withstand the increased forces generated in an additional test in which the 170-lb crashtest dummy is restrained by a lap belt that is anchored to the surrogate wheelchair rather than to the vehicle. Published in 2000, WC19 requires the design and testing specific to wheelchairs used in a motor vehicle has an actual seat, and includes tie-down securement points and a lap belt that has been integrated into the design and tested for crashworthiness. This standard is applied to the wide range of wheelchair types and styles, whether they are powered or manual, but is primarily applied to those that come directly from the original manufacturer. Four accessible, anchored, and labeled securement points with specific closed-loop geometry to allow one-hand attachment of tie-down strap hooks. They must be able to withstand the forces of a 30-mph, 20-g frontal impact. A commercially available wheelchair-anchored lap belt. This belt must include a pin-bushing anchorage on each half of the lap belt for attaching the lower end of a shoulder belt near the passenger’s hip to comprise a three-point belt restraint system. Crash testing compliance with the wheelchair-anchored lap belt placed around the pelvis of the appropriate-size crash-test dummy. Two ratings of the wheelchair’s accommodation of vehicle-anchored lap/shoulder belt restraints: one for ease of proper occupant restraint positioning, and a second for the degree to which proper belt placement is achieved. To better understand the right steps to take to safeguard your special needs riders in the safest way, it is best to understand where you currently stand. According to a recent Q’Straint WC 18 study of pupil transportation professionals in partnership with School Bus Magazine, nearly three-fifths of respondents are not sure or have no plans to implement the WC18 standard, while over a quarter have already implemented it. oversees on a daily basis, it can sometimes become difficult to see the forest through the trees. championing the WC18 standards, with 62% responding that they do not have someone. And when asked about concerns related to implementing the standards, the respondents list financial/money, a lack of awareness, or no immediate urgency regarding these requirements. Combined, the survey shows either confusion on whether or not districts are in compliance with the latest standards and why these standards can aid in safety and other benefits to the fleet. Of the contacted transportation professionals have top-of-mind awareness of any recent standards affecting wheelchair safety. Transportation professionals are familiar with the standard. Of all transportation/fleet directors surveyed has someone in their district championing the WC18 standards. Responding that they do not have someone championing the new standard. 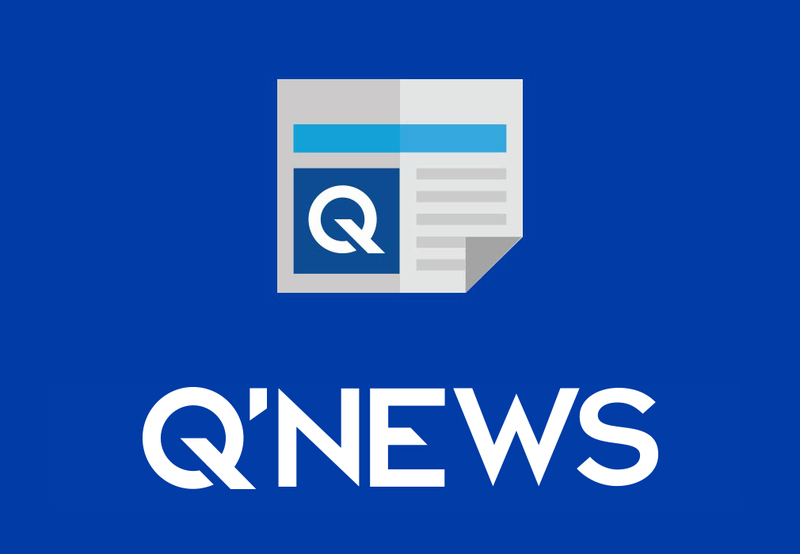 While some transportation directors may explain that there are numerous reasons why they have yet to implement WC18 and WC19, the argument is quickly trumped by the incentives to comply. While adopting these standards may spell out additional costs at the outset, there are savings that can be measured not only monetarily, but in human life as well. School districts are tasked with ensuring that their students are safely transported to and from school every day. And for one portion of that student population, districts and their transportation department staff must also safeguard students who require a wheelchair and need an additional level of care. Unnecessary injuries related to wheelchair tie-downs can be avoided with proper training and by also complying with these latest industry standards (as further described in the next section). Wheelchair tie-down and occupant restraint system manufacturers offer free training tools, such as in-depth training guides, webinars, and industry event training sessions. DVDs are also available, which, in some cases, might be more efficient as an initial training tool for larger transportation departments. In the end, it is better to spend department resources such as money and time to become compliant than deal with injury, increased liability, and bad press associated with an avoidable accident-related injury. Unlike seats that come standard with vehicles of any type, most wheelchairs were initially not designed to be used as a seating system in a moving vehicle. 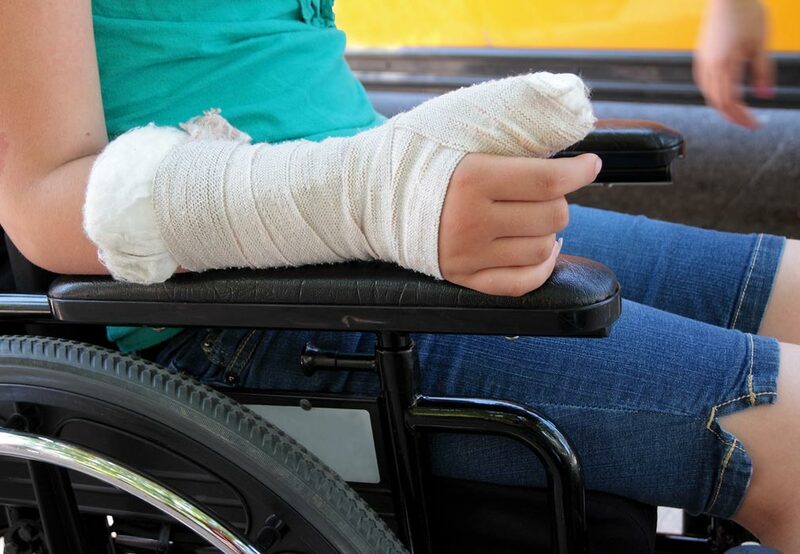 It can be difficult to find the proper attachment points for certain wheelchair designs, or ensure that the included and added restraints can be applied to each individual case concerning a student riding the school bus in a wheelchair. 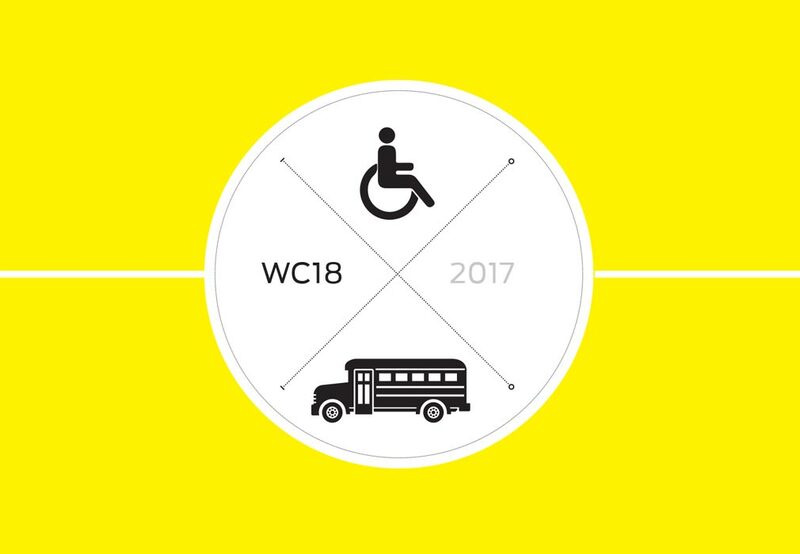 WC18 and WC19 standardize and improve safety improvements to both the seating system and the tie-downs used to secure it within the school bus. The lap belt sits lower on the passenger’s pelvis, which is considered the safest and most secure belt location. Eliminates any interference from wheelchair components (i.e. armrests), which can happen with a traditional occupant restraint, making the ride safer and more comfortable than previous standards. Reduces any invasion of the passenger’s personal space by the bus operator or attendant. Previously, operators would have to wrap belts around the passenger’s body and through the components of the wheelchair. With a WC19 wheelchair, passengers are already wearing a properly positioned lap belt. It now takes less time to secure the lap-shoulder belt. With less time spent securing wheelchairs, attendants can spend more time meeting the needs of individual riders. Championing WC18/19 is now another hat that fleet managers must feel comfortable wearing. With proper education, training and constant observation of the equipment and securement procedures, you will ensure a safe and comfortable ride for students. A strong relationship with your securement supplier will also help enforce proper training and product usage.